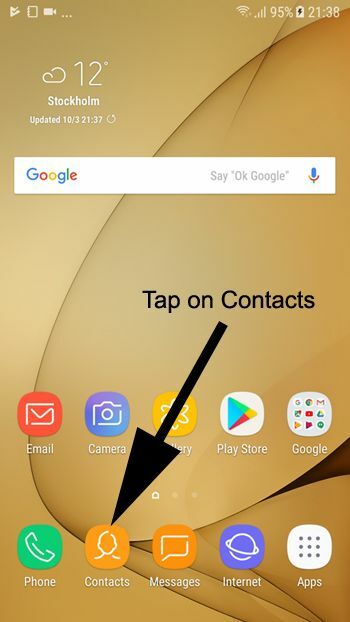 If you are new on WhatsApp and if you do not know how to add a new contact on your device, this guideline is going to tell you how to do it on your device. You can take a look at our guideline with pictures below. It will take a few seconds to understand how to add a contact on WhatsApp for you. Let us begin to tell you how to do it step by step. How to Add Someone from Another Country on WhatsApp? If you would like to add someone to your WhatsApp first, you will need to add him/her to your contacts first on your Android device. You can look at step by step guideline below and the pictures. The pictures has been taken from Samsung device but you can follow similar ways to add contact another android device. 1-) Firstly go to your contacts of your phone. 2-) Tap on add a new contact button on your device. 3-) Add name of your contact and add phone of him/her to your phone. 4-) Run WhatsApp Messenger on your Android device. 5-) Tap on green chat bubble icon of WhatsApp which is locate bottom right of the application. Please see the image below. 6-) Tap on three dot menu of WhatsApp. 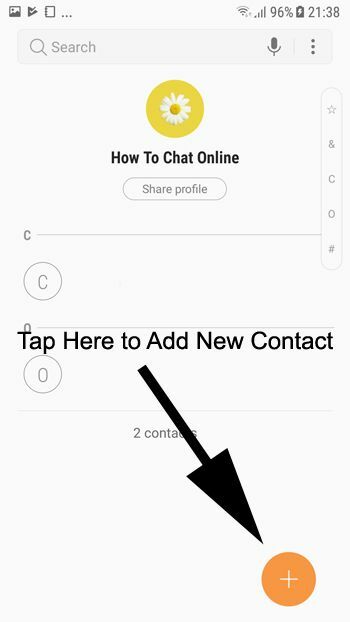 7-) Tap on refresh to appear new contacts on WhatsApp Messenger. You are done. You have added your contact to your WhatsApp Messenger and you are ready to talk him/her. We recommend you to not to disable contacts on WhatsApp. That will bring lots of troubles to you about the app. If you are having any other trouble about the WhatsApp, you can always ask us through Q&A service or our community. 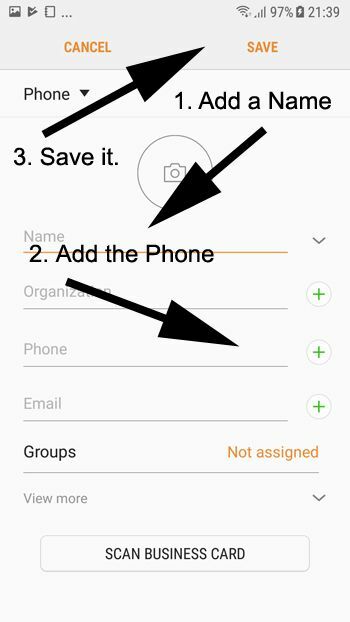 If your contacts disappeared on WhatsApp, please take a look at our tutorial. I would like to make friends from other countries of Europe, Asia, Oceania, South America, North America. I believe WhatsApp Messenger will be a good tool for me but it seems we cannot talk to people if they are not in their contacts. Can you give me some tips for adding someone from another country on WhatsApp? Thanks for your question and welcome to How to Chat Online. Yes, you can talk to people from another country on WhatsApp but it is not a random chat as you wish. However if you would like to have some tips, we can tell you some on here. Firstly you will need to find a target country for yourself. You have counted every continent that exists on the earth. So you would like to meet anyone from any country. So let us give an example about Philippines. +63 is our first two number for the phone. All numbers between 905 and 930. All numbers between 935 and 939. All numbers between 942 and 949. We got many other three numbers now and we have 5 available phone numbers. Now you will need to guess phone number and expect to meet someone through this small chance. You will need replace all these x with new numbers. You can also give a try to another country of the world with these tips.